Sound familiar? If you've been in the business for any length of time, it should. 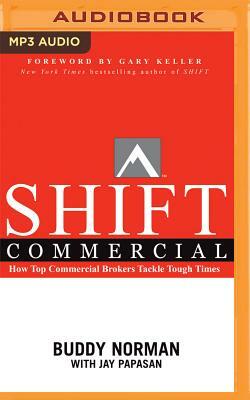 SHIFT Commercial provides proven models, tactics and insights from top commercial brokers who are thriving in this market, including Find the Motivated--Lead Generation; Get to the Table--Lead Capture and Conversion; Catch People in Your Web--Internet Lead Conversion; Expand the Options--Creative Financing; Master the Market of the Moment--Identify and Establish Needed Expertise...and so much more. Real solutions for real agents in commercial real estate.